Think chipped and nicked glass requires expensive replacement? 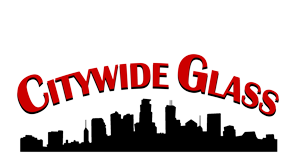 Citywide Glass can repair most doors, mirrors, and windows for a fraction of the cost of replacement. It only takes one visit from our skilled technician to restore your damaged windows and mirrors to crystal clarity. If the damage is beyond repair, we can replace any window, mirror or storefront glass. We'll work with your budget to find affordable options, that will add value to your home or business. Citywide Glass has energy-efficient options that pay for themselves through energy savings. Or, give your home a facelift! We will work with you to install new windows and doors that reflect your taste and lifestyle. At Citywide Glass, we have the experience and expertise to handle any project, no matter how big or small. Our skilled and knowledgeable technicians are equally adept at performing repairs and replacements. Our ultimate goal is to provide fast, efficient service at an affordable price. Call 612-721-8722 to speak with a dispatcher for emergency after-hours commercial or residential glass repair due to vandalism or accidents.